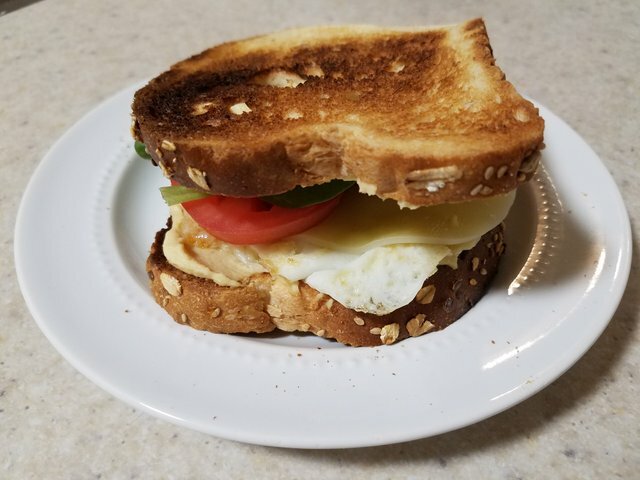 First entry into the Steemit Sandwich Contest! I have been trying to be a vegetarian (technically lacto-ovo vegetarian) for a month just to try it out so, I have been making things that I usually don't make. 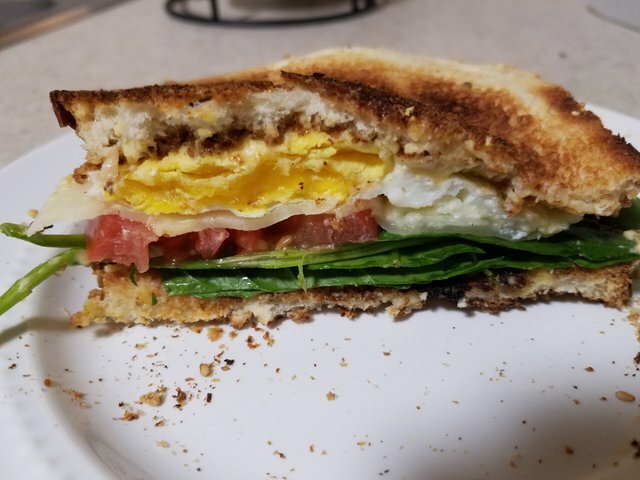 And that includes this sandwich here! 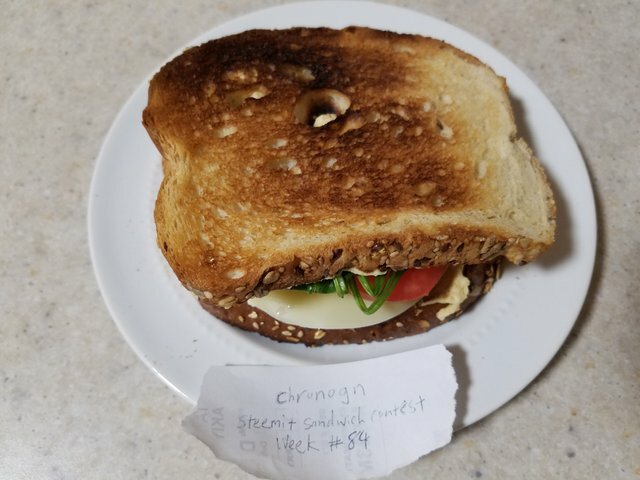 Welcome to SSC @chronogn, your sandwich does look tasty!